Here is more proof that newspapers are still in high demand. 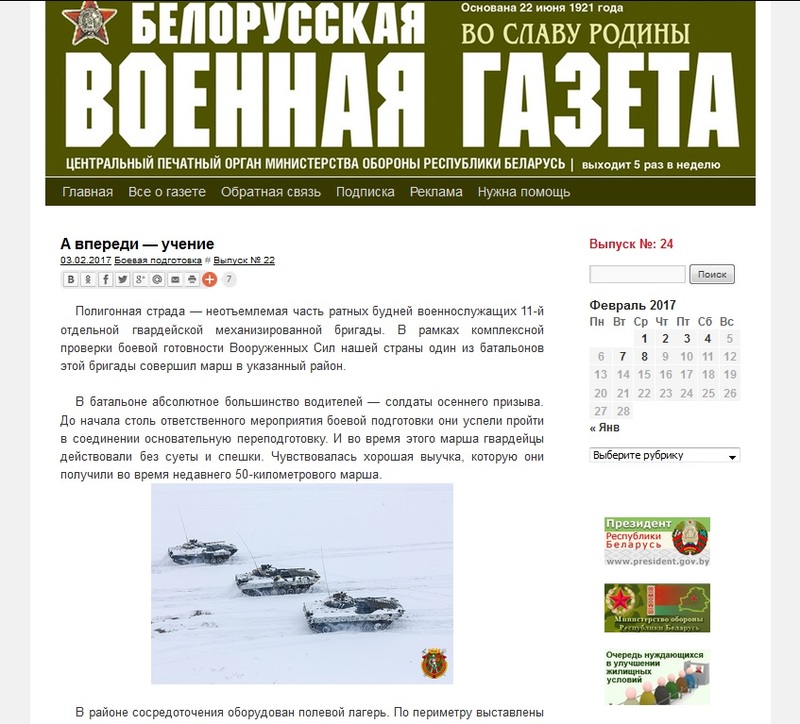 The news site “The Belorussian Military Newspaper. To the Glory of Motherland” (an official organ of the Ministry of Defense) published a report on a military exercise, along with a photo of an infantry combat vehicle that is covered by newspapers. The black-and-white pattern of newspaper sheets matches the winter landscape perfectly. …And yet once again, high quality journalism is always better than the yellow press, especially in winter. 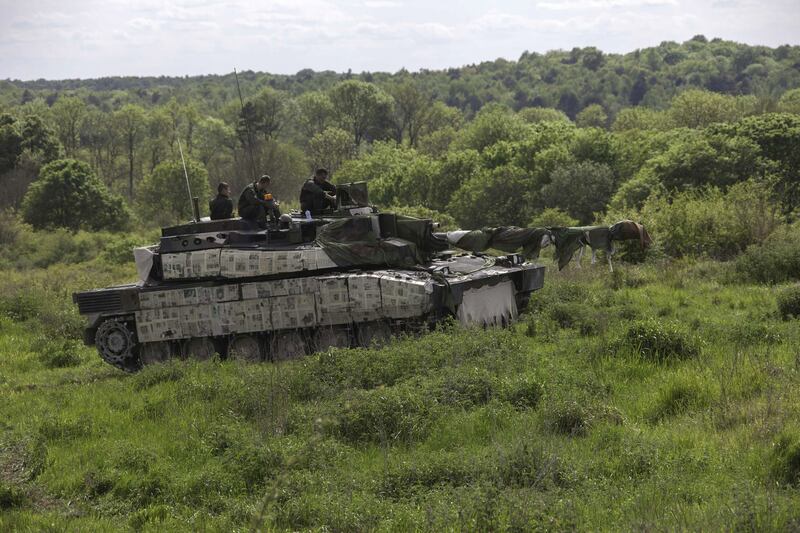 Update: NATO’ tankmen picked up the Belorussian way of camouflage – with newspapers. 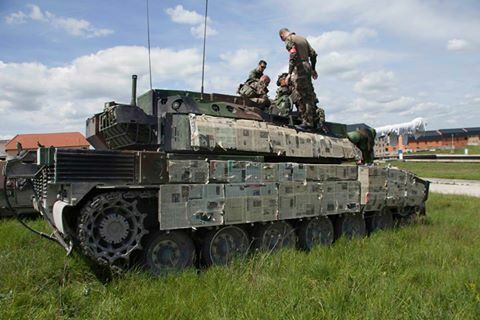 Users of one of Belorussian military internet forums found pictures of “newest” French tanks covered with newspapers. 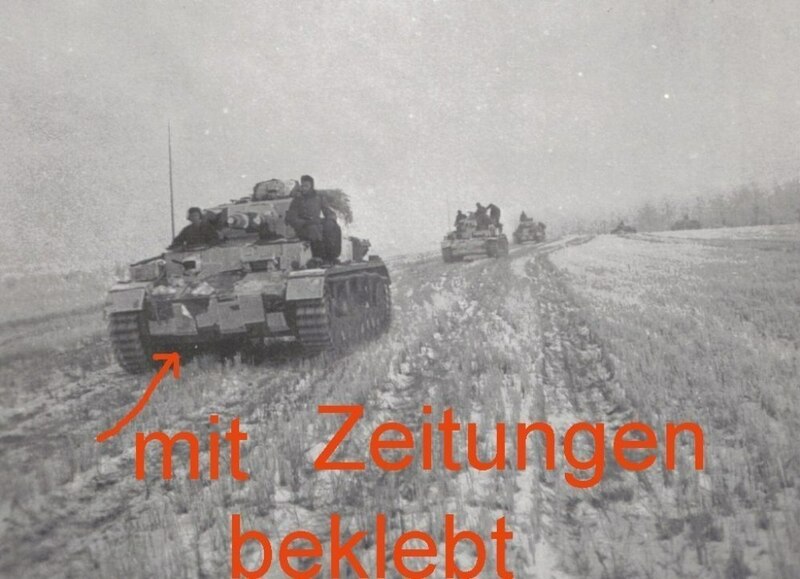 However, as Belsat reports, the attendees of the same forum insist that the idea of newspaper camouflage first was used by Wehrmacht tankmen during WWII.